The MSI Sistorm is an amazing mouse pad with silicon base that provides constant and superior performance. Silicon is an environment friendly material: stable, non-toxic recyclable and a perfect texture when touched. The anti-slip silicon structure on the bottom ensures the Sistorm stays in place even on a slippery surface. The 3D textured surface provides is optimized for low friction and high accuracy. The surface provides an optimal compatibility for gaming mice. This patented technique reduces wear and tear traditionally found of cloth mouse pads and increases sturdiness. The specially designed non-slip and non-skid silicon bones prevents the pad from sliding during intense gaming and increases high precision accuracy. The Water-proof surface greatly increases durability, prevents staining and is easy to clean. 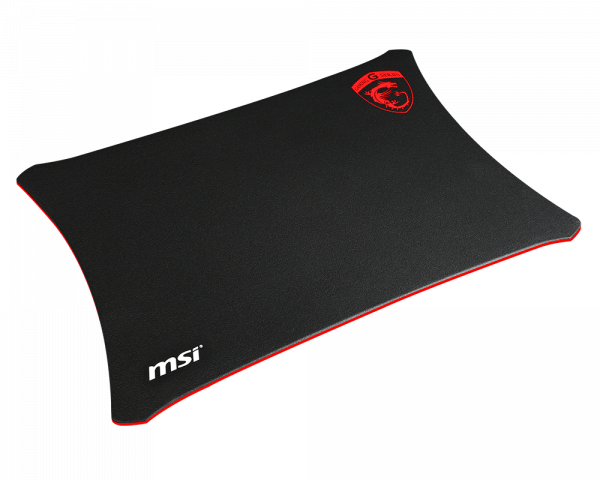 Note: The MSI Sistorm GAMING Mouse Pad can be rolled up for storage. Irregular pressure or over rolling might cause damage.